Well, the Burmese Python–the same species I got when I was thirteen by telling my mother “Socrates” would grow no bigger than my ten gallon aquarium–hit the Today show this morning. The Burmese python is the snake that got me and alot of other snake kids off the ground. It’s also the species that launched designer reptile breeding, turned a number of hobbyists into millionaires, danced with Britney at the MTV Awards, fueled a decade of wildlife smuggling, and killed a child in Florida a few weeks ago. Here’s the TODAY show report. The snakes reporters get excited about are tiny compared to what’s out there. Below is my version of a Burm, and an annecdote from behind the book. 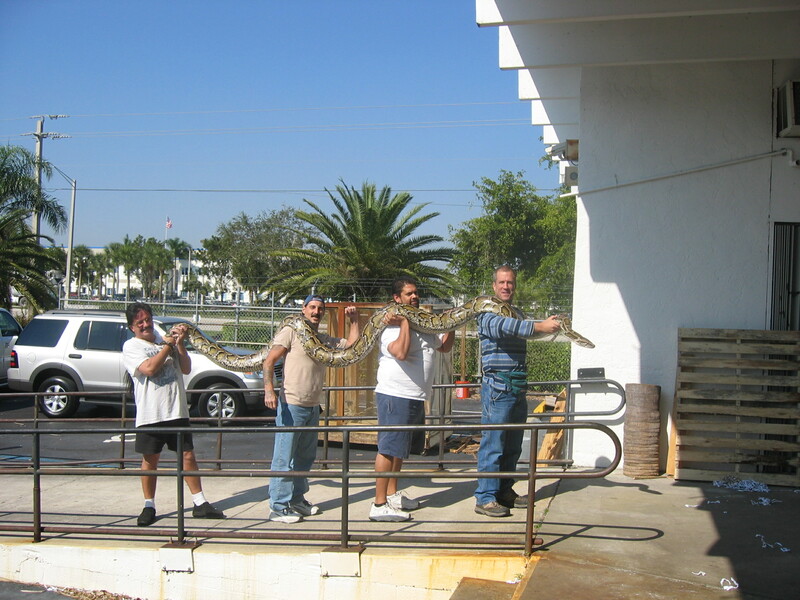 The Burmese python in this photo came to Strictly Reptiles one day while I was working there. 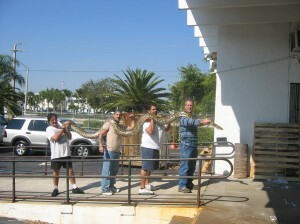 A local stripper (Stephanie “the water cannon” Evans) had used the snake in her act, but her husband felt it had grown too big for her to handle so he brought it in to Strictly Reptiles to sell. Mike bought it for around $150 and sold it before the guy was out of the parking lot. Of course, there are bigger ones out there.